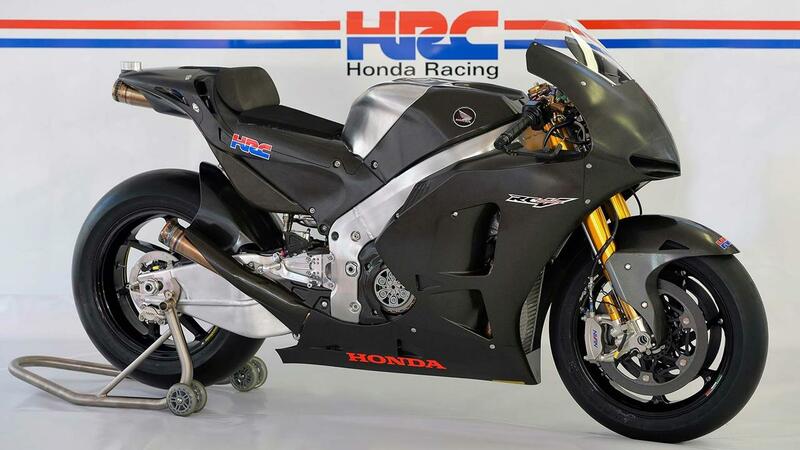 Honda’s new MotoGP machine debuts in the premier class this year. 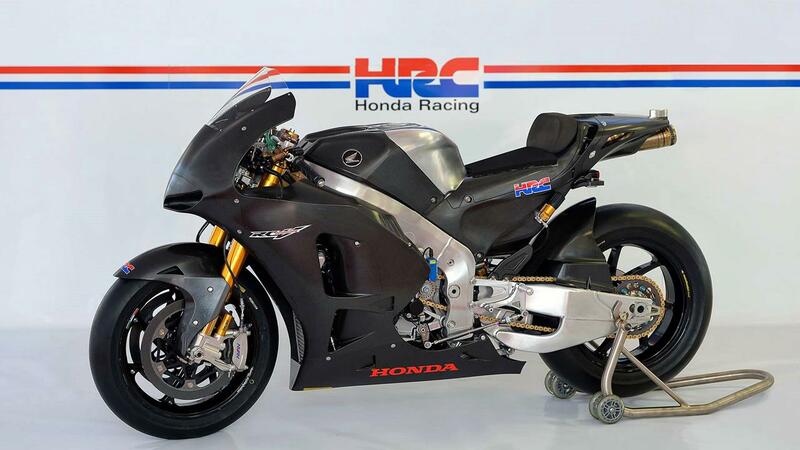 The machine, developed and manufactured to match this season’s new MotoGP “Open” Class, replacing the Claiming Rule Team (CRT) status, is the RCV1000R, the culmination of a project begun in Fall 2012, and officially unveiled at the 2013 season-ending Grand Prix in Valencia. Riders scheduled to ride the RCV1000R in 2014 took turns to test the machine, at the customary post-race tests following the completion of the Valencia Grand Prix. Testing by RCV1000R teams and riders began in earnest as the pre-season testing ban was lifted in February 2014, at the Sepang International Circuit in Malaysia, where most MotoGP teams assembled. The RCV1000R these teams will race was developed to meet this season’s new MotoGP “Open” Class regulations. Until the end of the 2013 season, the MotoGP class was divided into two machine categories: Manufacturer-developed prototype machines, and CRT machines equipped with modified mass-produced engines on custom frames. CRT was intended to allow independent teams to compete in MotoGP racing at a reasonable cost, but in practice resulted in a large performance gap with prototype machines. This year’s new “Open” Class aims to retain the CRT spirit, yet diminish the performance gap. The “Open” Class machine will use official “standard” ECU (Engine Control Unit) software, as opposed to the originally-developed, ECU-equipped Factory class. Factory class machines must race all 18 of the season’s Grands Prix with no more than 5 engines (with no additional development), and 20 liter fuel tanks. “Open” Class machines are allowed up to 12 engines (with no development restrictions) throughout the season, and 24 liter fuel tanks. 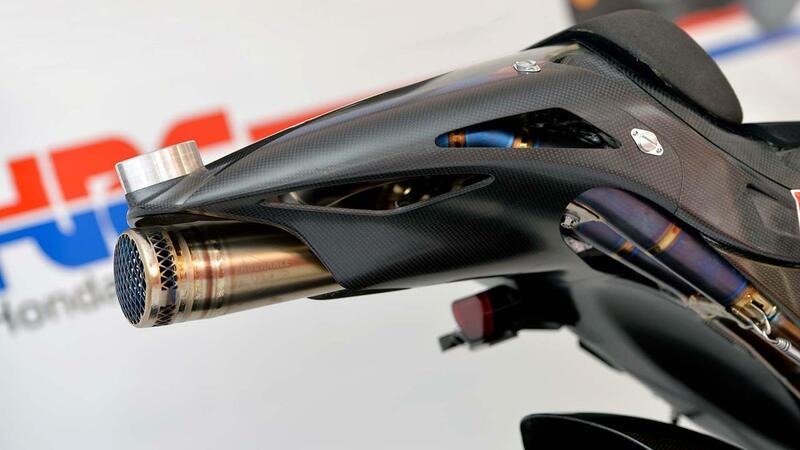 The “Open” Class Honda RCV1000R was developed to bridge the gap between prototype and CRT machine performance. 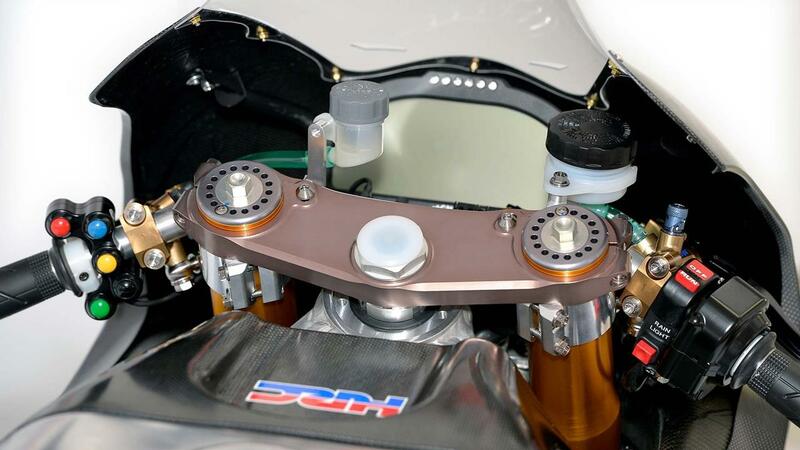 Although the machine’s geometry is nearly identical to that of the factory RC213V (as previously announced), its ECU uses the official DORNA-issued ECU software, as opposed the the RC213V’s HRC-developed custom software. The RCV1000R’s 90-degree V4 valve-spring engine produces more than 175 Kw/16,000 RPM, and is equipped with a conventional transmission. The package supplied to each rider includes 2 machines and 2 spare engines. Teams can conform to the “Open” Class 12-engine regulation by maintaining the supplied engines through 12 cycles. This goal was achieved in last year’s road tests, at Twin Ring Motegi where the same rider tested the RC213V and RCV1000R on the same day on identical tires, resulting in a mere 0.3 second difference. In pre-season testing on February 4 through 6 this year at the Sepang International Circuit in Malaysia, Nicky Hayden recorded the second-fastest “Open” Class times (13th overall) and his teammate Hiroshi Aoyama followed in third in the “Open” Class. Following the second Sepang tests, the factory teams conducted three days of Bridgestone tire tests at the Phillip Island Circuit in Australia, while the satellite and private teams gathered at the Losail International Circuit in Qatar, the venue for Round 1, for night-time tests. RCV1000R teams and riders participated in Losail for setup-tuning and long run tests, for 72 hours in preparation for the beginning of the season. Hayden finished ninth, and Aoyama 10th overall during these tests. MotoGP rookie Redding finished 11th, and Abraham 13th. The pre-season tests came to a close, and now the wait for the beginning of the 2014 MotoGP season, Round 1 Qatar on March 23, had just begun.